- “My only daughter! You're no longer with me! They raped you in front of me, your mother (...). I will carry out my own justice, an eye for an eye, a tooth for a tooth!” Bernadette cries into the microphone, wiping pretend tears from her cheeks. - “But won't you go to the SCC, the Special Criminal Court?” asks Passa, watched by a hundred curious spectators who have come to watch the play. 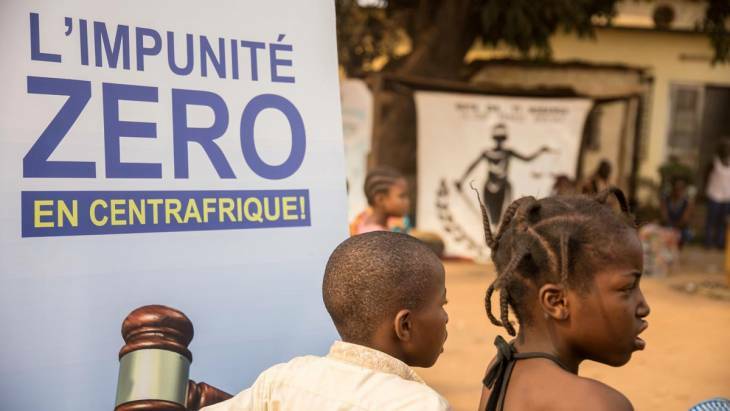 The SCC, a UN-backed court composed of national and international judges, is charged with judging serious violations of international humanitarian law committed in the CAR since 2003. But on February 11, the play and its promises of justice did not stop student Jordan’s fears that an amnesty will be granted to warlords who have committed many abuses against civilians. 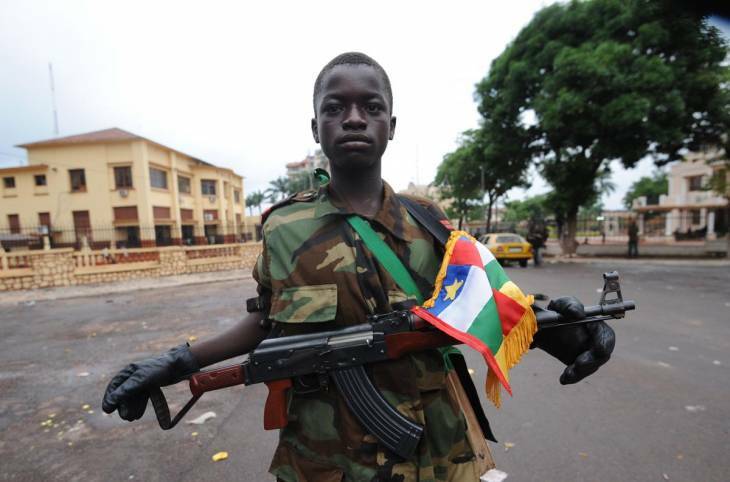 A few days earlier, the government and 14 armed groups who occupy most of the country concluded a peace agreement in Khartoum (Sudan) that has aroused mistrust in many Central Africans. Although the peace deal does not provide for amnesty, it is not specifically ruled out. And the peace deal does not mention the SCC at all. 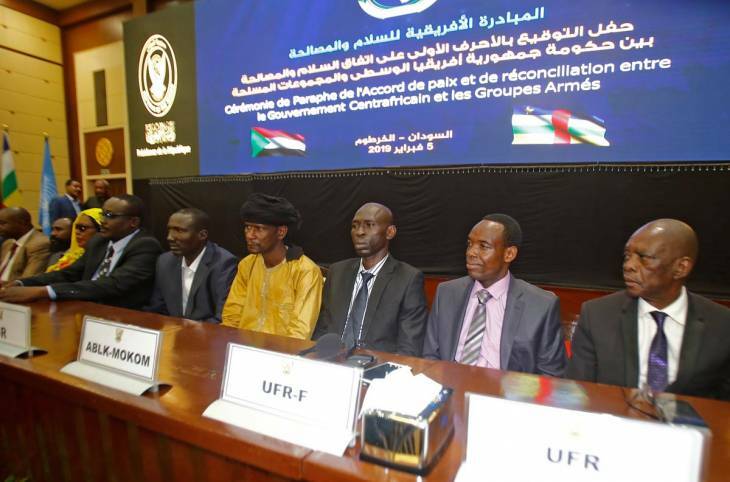 "The victims have clearly identified some of the negotiators [of the Khartoum Agreement] as people who must be brought to justice,” says Jean Arnold de Clermont, head of the Pharos Observatory, an association that monitors cultural and religious pluralism. “We may wonder if this will really happen, although the agreement includes in its principles a rejection of impunity." 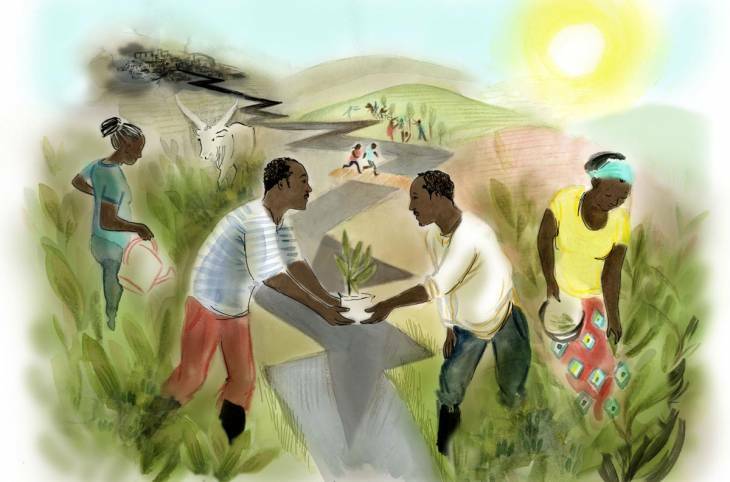 Fighting impunity was a major recommendation of the 2015 Bangui Forum, which had 600 participants including civil society representatives, but not several parties to the conflict. 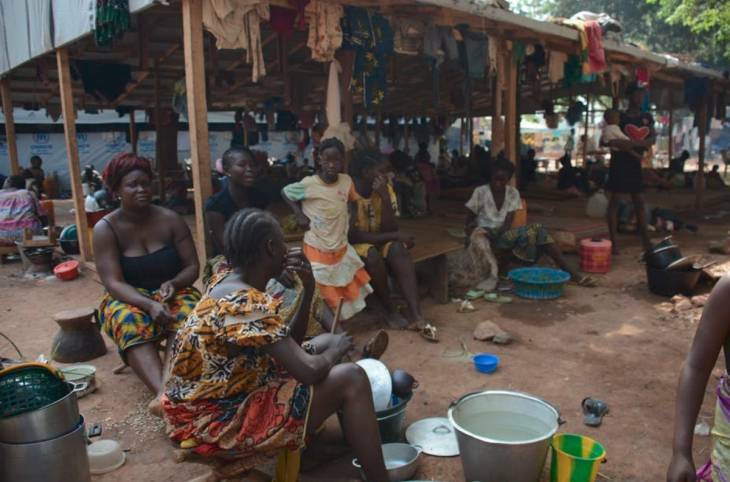 "All those who have committed crimes in this country must be held to account before the courts," says Jordan when the curtain falls on the temporary theatre stage, set up on a sports field in the Sica 2 district of the capital Bangui. "There have been crimes committed in the past and people were eventually granted amnesty. But in the current context, this is impossible. The 2015 Bangui National Forum ruled out amnesty, so all those who have committed crimes in this country must be held accountable before the courts!" exclaims Henri, another student, as the actors and assistants pack up costumes, scenery and displays on the Special Court, under the orange light of the setting sun. Since the signing of the Khartoum agreement, made public on February 8, some people in the streets of the capital have been making more radical statements, such as the young man threatening to set himself on fire "like the Tunisian" [Mohamed Bouazizi's immolation in Tunisia was the catalyst for the "Arab spring"] if he sees big warlords appointed to the government. He says he is disgusted by so much impunity and especially to see another peace agreement that provides for rebels entering the government. This fierce need for justice will not be met immediately by the SCC. Created by decree in 2015, it has only just begun its judicial work, in a particularly delicate environment. Most of the country is occupied by over 16 armed groups fighting for control of resources (livestock, minerals, road taxes), while the UN mission (MINUSCA) is understaffed and regularly criticized for its lack of action. 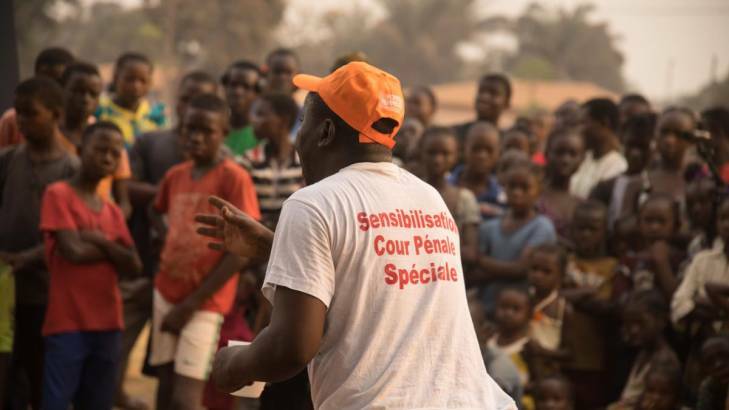 An actor/facilitator on a mission to raise awareness about SCC in the streets of Bangui. "Some things are being done quietly, the magistrates are doing their job," SCC spokesman Theophile Momokoama says, as he stands by the improvised stage where the play was performed. After the show, he took the microphone to answer questions from the audience. "If I know someone who hurt me but they're hiding in another neighborhood, in PK5 [Bangui neighborhood], how are you going to catch them?" asks a young boy in Sango, the local language. Théophile Momokoama stays calm. "This agreement may have an impact on the judicial system, but does that mean we should stop delivering justice?" he asks, whilst refusing to comment on "the ongoing political process". 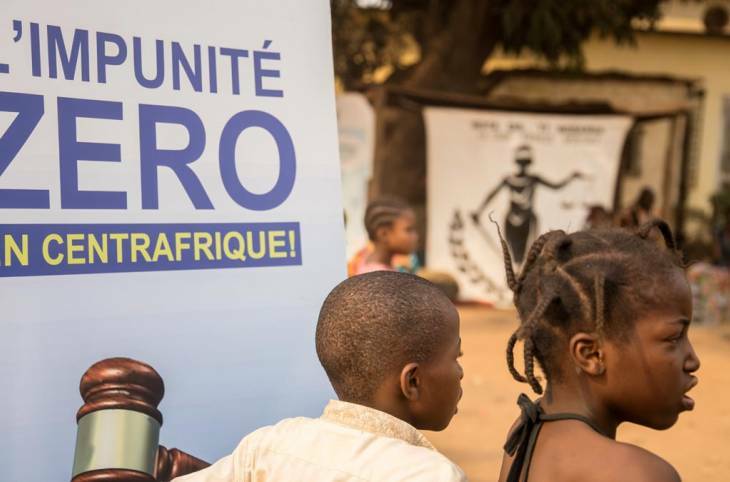 "In accordance with the government's commitments, justice will continue, as national courts, the SCC and the ICC [International Criminal Court in The Hague] prosecute those responsible for the most serious crimes,” says Pierre Brunisso, head of the International Federation for Human Rights (FIDH) office in Bangui. “Reconciliation mechanisms will be added to these, but should not replace them," he continues in reference to the Truth, Justice, Reparation and Reconciliation Commission (TJRRC), due to be set up within three months under the new peace agreement. On February 9, the CAR President signed a decree establishing an "inclusive" commission that is to precede the TJRRC and have “the essential task of examining all aspects related to the crisis, qualifying and proposing any action that may be taken in the field of justice", according to the Khartoum Agreement. This commission will be composed of 8 members of the government and 5 members of armed groups. "It is possible that there will be justice after the completion of this commission's work. This is an honest compromise given that armed groups are too powerful at the moment to opt first for justice and then for peace. 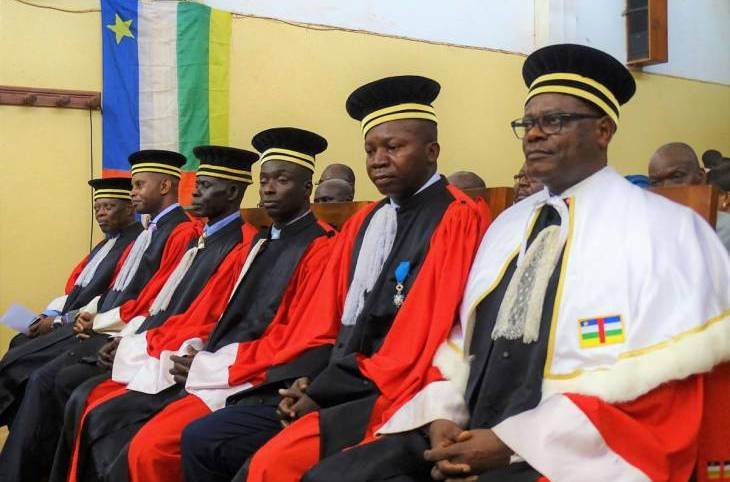 This is the price to pay to restore peace," says a source who has worked for several international tribunals and who sees the amnesty issue in the Central African Republic as a choice between justice and peace. For Wesley, a student who came to see the play, the answer to this famous dilemma is obvious. "There can be no peace without justice,” he says, “because when justice is done, there will be peace, people will make peace because the person has been judged." Mathieu, former head of a company looted by rebels in 2013, seems to have defined the ideal compromise: "I prefer that there be peace so that there is free movement and people can come to Bangui to submit their cases to the SCC." In the meantime, the theatre company will not be idle. It has 70 performances scheduled in the capital and the provinces between now and June. People in Bangui speak about the work of the Special Criminal Court and its communication efforts to make the issues clear. They also comment on the ongoing transitional justice processes in the Central African Republic, especially in the area of amnesty. ©Charles BOUESSELThe European Union is displaying its communication campaign on the fight against impunity and the SCC, during a theatrical performance on the streets of Bangui.